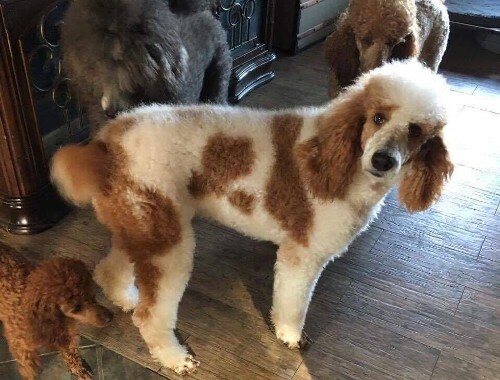 When you use Silver Ace Poodles’ dog breeder program, you are breeding your dog with mates who have certified pedigrees. Karen’s breeder dogs are recognized by the American Kennel Club and perfect for fathering or mothering your next litter of puppies. 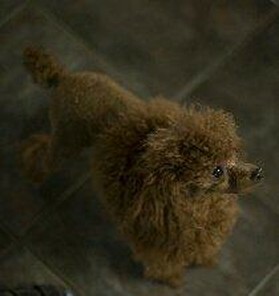 Cami is an AKC parti poodle. Cami loves everybody and keeps the gang all stirred up. 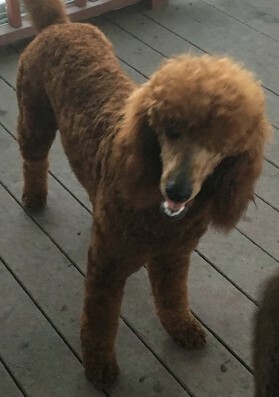 Kona AKC sm standard poodle. Kona is a very dark girl and looking forward to very dark pups. Wrangler AKC Toy Boy. 3.4 Lbs. Looking forward to very small pups out of this boy. This is Wyatt he is the new addition and taking Cowboy's place in a few months. He is a very sweet boy and have big plans for him. This is Finn-Again. He is co-owned with a friend and is in a guardian home. 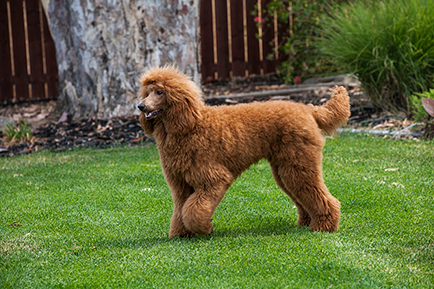 Contact Karen to set up an appointment with her dog-breeding program with pedigree dogs.